Fall is here, the weather is crisp and cool. There are so many fun things to do with your dog. Take your dog with you on a nature walk to enjoy the last days of dry, warm weather while enjoying the changing colors. This is a good time to work on your puppy or dog’s socialization. Take them to pumpkin patches, small farmer’s markets or Willamette Valley’s many parks. I recently took Geo to our local hardware center, then for a short hike and visit to Northern Lights Pumpkin Patch. It was a fun couple of hours. 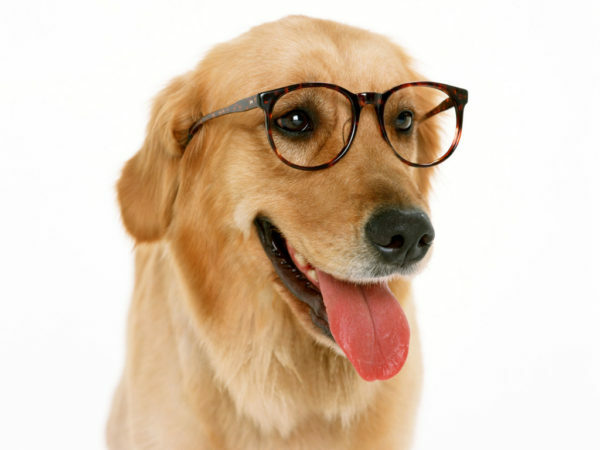 If your dog is ready­­­­­­­­­­­­­­­­­­­­­­­­­­­­­­­­­­­­­­­­­­­­­­­­­­­­­-loose leash walking, has a good sit/stay, doesn’t bark or jump, and is well socialized-then take him with you while the kids trick or treat in your neighborhood. When you walk your dog in the park to enjoy Willamette Valley’s changing season, work on leash skills for a few minutes at a time. 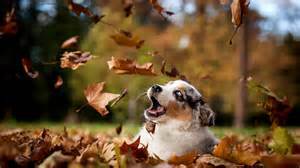 Keep it fun by letting your dog sniff the damp earth and falling leaves. An enjoyable hour spent together will result in a canine snooze when you get home and you have completed your training session for the day. If you take Rover to the pumpkin patch or public event, check the rules and size of event first. Are leashed dogs allowed? Is your dog ready for a large crowd? Do you have Plan B if your dog lets you know he is frightened and needs space? I moved Geo away from the crowd at Northern Lights when his ears went back and he started yawning. He was not sleepy. Yawning is a sign of stress for dogs. If your dog can accompany you while you take your little super hero out to celebrate Halloween, find a bright colored bandanna or reflective vest for Rover’s costume. This might not be the best time for Rover to meet new little goblins up close, but Rover can spend quality time with your family members while cruising around the neighborhood. You can work on training while giving out treats, when the doorbell rings, Rover gets a treat for being quiet. It helps to have two people, one to hand out the people treats and one to reward Rover. I have a friend who uses her porch window to deliver treats through while rewarding Rover for practicing not jumping or sits/down stays. Her dogs love to hear another “customer” approach her window because they know their good manners will get those rewards. If staying indoors is your thing and Rover’s manners could be improved, I offer open enrollment good manners class which means you can start any time. I offer classes on several different days and times. My training room is temperature controlled and safety is my #1 concern while coaching you and your dog. September is off to a fiery start in Oregon. Many residents have been on evacuation alert or evacuated. You want to make sure your emergency plan is in place and every member of your family is calm and safe. Your pets don’t understand why they have to suddenly travel and be kept in crowded conditions of a hotel or shelter. This is one reason why having a crate trained pet is so important. To start training, move the crate into an area near you such as a living area or home office. In the beginning, leave the door open during training, tempt your dog to freely go into the crate using toys, chewies or food treats as rewards. The key is whatever you use must be rewarding to your dog. Pretty soon your dog will look in the crate for those rewards. When you see that happening, reward your dog after he has entered the crate. Then start closing the door for a couple seconds and treat your dog through the door. The trick is to not go too fast with training or your dog will think the crate is a punishment. You want them to be comfortable with the process every step. Keep your training sessions short, 5 minutes at most. Crate Training may take some time though, especially for a pet that has unpleasant associations with the crate. My dog, Geo, was very frightened of the crate. 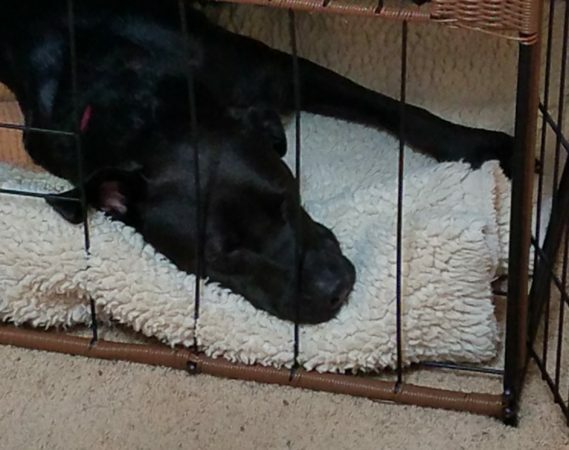 With a little training and positive associations with the crate, he now naps in his crate. It’s lovely to have a dog who will happily chew on a stuffed Kong while relaxed in his crate. As I’m typing Geo is sleeping in his crate. I can be assured that if Geo needs to be crated at the Veterinarian’s or in an emergency situation, he will have crate experience. Having a crate trained pet is a load off your mind when you need to get together essentials for your evacuation kit. A crated pet is a joy to travel with, is calmer at the Veterinary Hospital, and they are ready for anything. I know many dogs that use their crate as a “bomb shelter” during fireworks or thunder. School is right around the corner, the after school sports and lessons will start and it will get dark earlier. It doesn’t leave much time for the dog to be walked, played with, and trained. You might come home to find a shoe chewed or the neighbor complaining about your dog barking. Your dog is not being spiteful, angry or jealous—he’s lonely and confused by the sudden schedule change. You can do things to help your dog with the transition. Take your dog for a walk or play fetch with him before everyone rushes off to school and work. Feed your dog in a snuffle mat or puzzle food bowl so he is entertained for longer. A well stuffed Kong can give your dog hours of entertainment—Kongs are a boredom buster staple here. The pet stores are full of interactive toys but you can make some of them yourself. Poke holes in a used water bottle or box and fill it partially with kibble or dry treats small enough to fall out of the holes as pup rolls it around. Use an old muffin tin, fill some of the cups with kibble then place balls in the cups. Your dog has to lift the ball off to get the treat. If you didn’t get around to that needed training during summer, no problem, take a training class with your dog. Rock Nest Training & Pet Care offers an open enrollment class, that means you pick a day and time that fits your schedule, start right away, you pay for 5 sessions but have 10 chances to complete the course. You can fit home training sessions into your daily routine. You only need a few minutes and a few treats to teach your dog to lie on his bed. If you are gone so many hours that if feels like the only time you see your dog is the weekend, let Rock Nest Training & Pet Care take care of the walking and training. 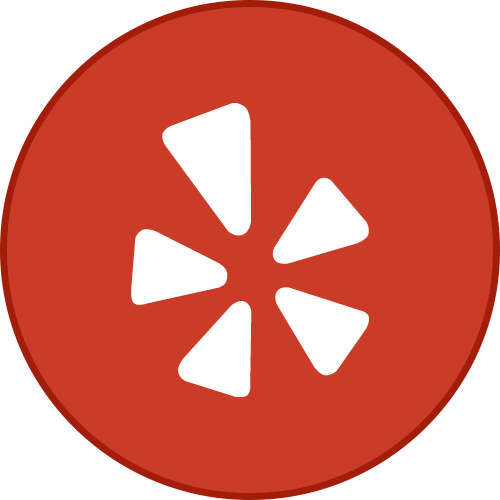 We offer a variety dog walking, pet visit and training options. We just finished up with two young corgis in our walk and train package. They are good citizens now that they don’t feel the need to bark at every noise. This is a good value for these young dogs— they will have good manners for life. The dog days of summer are here! 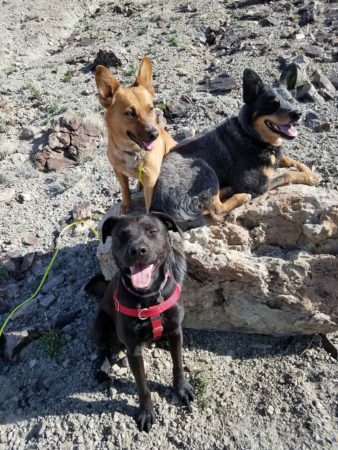 It’s a great time to get out and do fun activities with your dog-hiking, swimming, walking, play fetch, sit in the park, take a dog training class. There are a few helpful tips to get you and your pup through the lazy days of summer. Dogs don’t handle the sun’s brutal heat well. Their cooling system isn’t the best and then there is the fur coat they wear. Make sure whatever you are doing with your dog, you have fresh water available for both of you. When I took my dogs to dog shows every weekend, I kept frozen bottles of water in the freezer, ready to pack in the dog supplies. As they thawed my dogs had cold water to drink. I also wetted and froze rolled up bandanas for my dogs to wear around their necks. 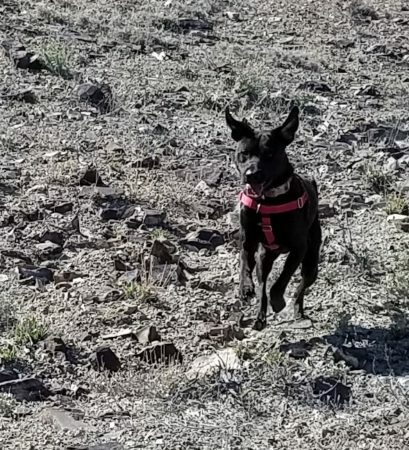 It also felt good to hold one of those frozen bottles on the back of my hot neck or tie a frozen bandana around my neck after running at top speed to keep up with my speed demon dog. If you are not into running around like a crazy person midday, take walks with your dog early in the morning while you both can enjoy the cool morning air and feel the pleasant morning sun. If you are not a morning person, an evening walk after dinner can’t be beat. I love walking my dog while reviewing the day, listening to the crickets and frogs in the twilight. 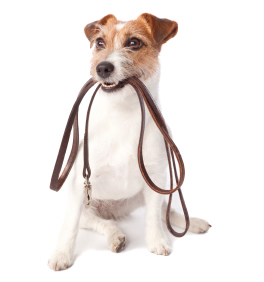 Walks are a great way to work on your dog’s leash skills. In midday, make sure your dog has access to shade-trees, reflective shade tarp strung up in a frame, pop up canopy. You can share a moment in the shade to work on sit or down stays, then as a reward you can read a summer novel while drinking an icy beverage and your dog chewing on a frozen treat. Its lovely to be outdoors in the summer, but our dogs can pick up fleas and ticks, talk to your Veterinarian about parasite solutions so you both don’t end up playing winter host to the next generation of fleas. A simple first aid kit is a good thing to have on. I’m sure your Vet will be happy to give you suggestions for a kit for your dog or you can find them in stores or on line. Whatever summer activity you plan with your dog-physical activity or staying home and enjoying the summer in your yard-a little planning ahead will keep both you and your dog healthy and cool. 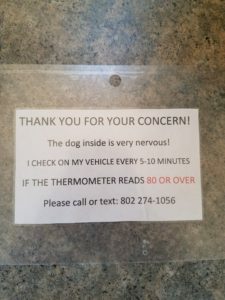 What do you give a dog with a temperature? “What do you give a dog with a temperature? Mustard, because he’s a hot dog!” The joke was told to me by a Veterinarian’s 7 year old daughter. 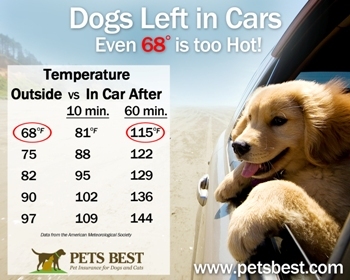 Seriously, what do you do when extreme temperatures hit and you need to have your dog in the car? My dogs have experienced it all. A road trip with dogs is my favorite thing to do so they have travelled across country multiple times. For a few years, I attended dog shows nearly every weekend and we encountered every kind of weather condition you can imagine. One day, we started the day with 95 degree heat finishing one agility trial and ended the day setting up for the next agility trial in the snow. At agility trials and any dog event, the talk is about keeping our dogs happy in the weather conditions—usually hot weather—and sharing ideas. We constantly reminded each other to drink lots of water and encourage our dogs to drink water. Some wonderful person told me if I’m going to hose my dogs down to cool them off, to be sure to get them wet down to their skin—wetting only the top layer of fur will only intensify the heat. After 30 years of travelling with dogs, it’s a habit to pay attention to outside temperatures before I load any dogs in the car. If it’s going to be in the 60s and sunny, I make sure I have water packed in the car. If I have to park the car and leave the dog, I try to park in shade of a building or trees and leave the windows slightly opened. As temperatures increase, I freeze water so as it thaws the dogs always have cool water. I pack battery run fans and reflective shade tarps to wrap my car in. If the temperature is above 75, I consider other options or leaving my dog home. Dogs cool themselves down by panting and they have sweat glands on the pads of their paws. Not a great cooling system when wearing a fur coat, especially if they are standing on a hot surface. Many dogs have hard time in extreme cold temperatures. They only have their fur coat to keep them warm. A husky may prefer to be outside curled up in a snow covered dog house, but I couldn’t imagine my dog, Geo, wanting to stay outside for very long. Every dog is a little different in their heating and cooling needs. The important thing to remember that dog’s thermostat is not very efficient and we need to pay attention to temperatures for them. In the Northwest, outside temperatures don’t drop too low, though lately December and January have been brutally cold. You will need to think about how long to leave dogs stay outside and if they have shelter to get out of the cold. Our summers can be intensely hot though so consider outdoor walks or training in the morning and giving your dogs car rides in the morning or only on drive through errands, going to the bank or getting coffee. Sadly, we hear about people forgetting children or leaving their dogs in hot cars. I called the police about a car with two huskies in it. Fortunately the temperature was in the mid 60s but the sun was strong. I had been walking dogs and I was sweating in a long sleeve shirt and the dogs in the car looked uncomfortable and were panting. If the person had pulled up 10 feet the car would have been in the shade and the dogs would have been much more comfortable. See if the owner of the car is close by. Leave it to a kid to tell it in plain speak so we can understand it! The law used her rules but dressed it up in a lot of legalese. After you have knocked on the window and the dog is responding but he looks very hot. Try to find the owner first. If it’s at a store, take the license plate number with a description of the car and ask an employee to make an announcement. That may help the owner come out of their shopping daze. Work on your dog’s socialization and training skills early in the day or take a drive to our local bank, Banner Bank, or Cascade Home Center. Both are welcoming to leashed, behaved dogs. If its really hot, give them a ride in the air conditioned car and hit the drive through at DQ, Hot Shots, Coffee Bean. Whatever you do, think it through so everyone stays cool. Fireworks are not for everyone! It’s the time of year we show our patriotism and celebrate our country! It’s the time of year our dogs think the world is ending! It’s not just dogs, people are often sound sensitive. My childhood memories of July 4th are of my family going to watch the town’s firework display. Everyone would park in a field, get out blankets, chairs and picnic baskets to watch as the sky lit up with vibrant colors. At the first explosion in the sky, I was wailing and trying to get back in the car to climb under the seat. I know how dogs feel, the sudden loud noise is terrifying and then with each flash and bang my nerves were jangled that much more. I overcame this as I got older because it wasn’t cool to scream and cry in front of my friends and I didn’t fit under the car’s seats anymore. 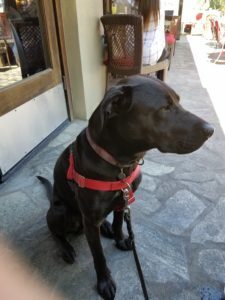 My experience gave me empathy for our furry friends. I had a friend whose dog would hide under the bed at the boom of guns or fireworks. Another friend’s dog dove for cover into his “bomb shelter,” the crate. If your dog is crate trained, that might help. Susan Bennett, a client, friend, and local realtor said of her dog, “Izzy gets upset the moment she hears a firework and stays that way for a couple days. She won’t eat, she hides in the closet trembling.” I’m worried for dogs like Izzy because revelers may start firing off the fireworks on Friday, June 30th and continue for the next 4 days through the 4th. 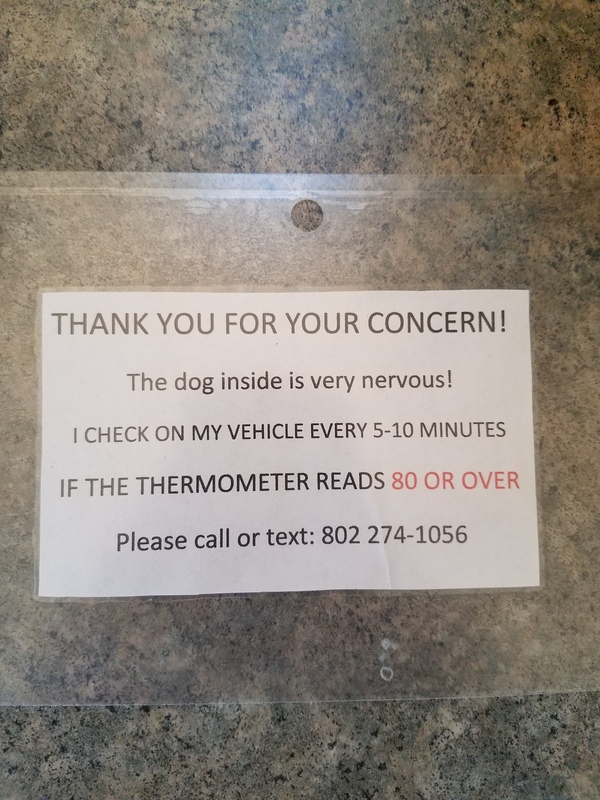 That is a long time for terrified dogs. The shelters are overloaded during holidays like the 4th of July because hysterical dogs break through windows and yard gates in an attempt to get away from the noise. Then you will have to post bail for your dog when the shelter is open. It might be a few days of boarding you will pay for. To avoid this, a little knowledge is power. Dogs can’t be calmed easily when in a state of fear. Do you have a phobia? Do you want someone telling you that your fear of spiders is silly when you are staring down a Daddy Longlegs? Dogs in fear will pant heavily, drool, have sweaty paws, be destructive to get out of doors, and possibly aggressive. So what do you do for your frightened pup? Plan ahead a little—think about going on a vacation and taking your dog with you, visit your Veterinarian and discuss appropriate tranquilizers and options, play classical music or a white noise machine to drown out the cacophony outside. Over the next year, you can employ a slow systematic desensitization process using thunder and loud noise cd. Your dog will habituate to the noises. Even though I have gotten over my sound sensitivity through many years of exposure, many people have not. Fireworks can trigger anxiety attacks or reliving combat memories for veterans of war. According to abc news, in a 2012 report, 30% of the service personnel from the Afghanistan and Iraq Wars have PTSD. So for the sake of all sound sensitive beings—human and canine—stick to a celebration without the loud percussions. If you don’t consider the 4th of July complete without fireworks, forego having noisy fireworks at home. 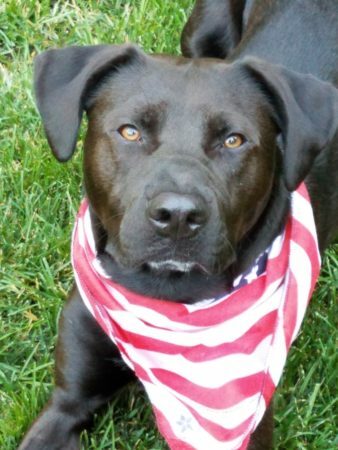 Your veteran neighbors and those who have dogs will thank you. Instead make sure your dog is safe, find a pet sitter for him, and attend your town’s centrally located fireworks display. The most common complaint dog owners have is that their dog won’t come to them when called. I had the same problem with Geo when I got him. We practice every day, sometimes once, sometimes many, many times. I look for opportunities and there are the necessary times I have to call Geo to come to me. I’ve successfully called him off chasing deer twice. Still, there is rarely a perfect recall. If you have looked at my Facebook page I have posted many videos of us having fun practicing recalls. Fun is the keyword. Just as you don’t want to hang around a grump—neither does your dog. Make yourself more fun and interesting than what is in your dog’s environment during practice. That would mean practice in an area low in distractions for your dog—inside your house or a quiet area of the yard. Keep your voice friendly. This is where using a whistle for the recall is handy because the whistle tone is always the same. Stand up in a relaxed pose-dogs find a forward leaning pose threatening. Use rewards your dog likes. If someone called my name and I thought they might have a $5 bill to give to me, I’d run to them. Food is the easiest reward because it’s quickly delivered. I use pinkie fingernail sized pieces of hot dog, cheese, or chicken. These are high value to most dogs. You’ve set the scene, now practice is very short sessions of 3-5 minutes. Start by getting your dog on a leash to keep him close. Say your dog’s name and reward him when he comes to you. Watch for times when your dog is looking away from you and call him. You can step backwards to encourage him to come towards you quickly. When your dog gets to you—reward, reward, reward. Be generous with tiny rewards, dogs understand quantity. Do this as many times a day as you can for a couple weeks so your dog gets in the habit of listening for you to call him. Never call your dog to you when you are going to do something your dog finds unpleasant-nail clipping, going to the Vet, getting a bath, etc. I would never call Geo to me to put him in the car. He does not enjoy car rides, yet! When he can tell I’m getting ready to leave, he runs to his bed as if to say, “I’ll hold down the fort.” If he needs to go with me, I go to him, calmly leash him up without saying anything and put him in the car. As with all training sessions, only do recall practice when you are positive your dog will come to you. Set the scene for success: no distraction, your dog’s a couple feet away, he’s on a leash or long line. Remember to keep training sessions short—less than 5 minutes, but have them frequently—several times a day. Reward heavily every time he comes to you. I play Hide and Seek with my dogs, I go into another room and call my dog. When he comes running, we have a party of pets, treats, or a trip into the yard to play fetch. It’s the time of year many of us start planning a trip. I recently took a trip with my dog, Geo. I was shocked at all the baggage Geo had while I had a tiny suitcase and my computer bag. I brought everything he might need—several different types of leashes, bowls, food, treats, bed, crate, first aid kit and many, many toys,. We were ready for anything. Along with packing these necessities, there are some other considerations, basic canine manners. Your dog is used to the routine in his territory, his house and yard, but being in different surroundings may be quite unsettling. In my last article, I spoke to you about the importance of socialization. 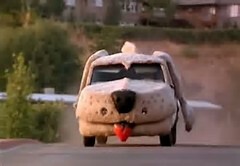 Spot will be a much better traveling companion if he has daily car rides to the store, park, bank or coffee drive thru. You want to work on these a month to three months in advance. Teaching your dog to look at you in the presence of distractions, settle on a mat, and sit or down/stay is fairly easy to teach—those are the basics you would work on in a Good Manners dog class. Settle on a mat is particularly good because it gives your dog his own territory, a constant when he is traveling. 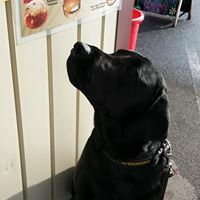 Another good practice to have your dog automatically wait at doors until you tell him its ok to go through, it’s great when you have visitors or are a visitor, needing to get bags through a door at home or in a hotel. There would be nothing worse than having Spot blow through your tent flap or camper door in chase after a squirrel or deer. This is when a solid recall would come in handy! You might want to have Spot can sleep in a crate if you are still working on that solid recall. Crate training can be easy but you want to have time before your trip to have your dog adapt to settling down in a crate. Crate training has a practical everyday use, if he goes to the Veterinarian for surgery, he will be in a kennel. These are basic manners every dog should have whether for everyday or visiting Grandma in the next town. I’ve always travelled with my dogs and we had a lot of fun and adventure. Someday I’ll tell you about Rocky and Nestle, my first dogs, getting a bath at a truck stop in Indiana. Yes, we all make mistakes. I still think it’s worth packing all the extra bags and equipment. My dog, Geo, was born in an animal shelter and lived there for the first 5 months of his life. He is sweet and goofy, friendly with dogs, cats, and people, but terribly fearful. He is fearful of everything, especially sudden, sharp noises and anything I might carry—hats, purses, umbrellas, water hoses, tote bags of any kind—you name it. I don’t believe he was ever beat by a woman in a floppy hat carrying a black polka dot tote bag. I do believe some of it is his personality and most of it is that he missed the crucial time in his life when socialization to the real world would have benefitted him most. Puppies: Car rides to the store, through the bank drive through—Banner Bank tellers always have good treats, coffee booths—The Coffee Bean, Hot Shots, and Creswell Coffee are animal lovers, your Veterinarian’s office to get weighed and cuddled by the staff—the clinic staff and your dog will thank you, or the hardware store, Cascade Home Center is very welcoming to leashed dogs. Have a puppy party at your house—invite a couple friends or neighbors at a time to help with your puppy’s skills-sitting politely for visitors. People love to help train puppies. The most important place to take a puppy is a puppy kindergarten class. They will experience a little training, lots of handling, a variety of noises, objects and textures, people, and other puppies. Young or older dogs: Hiking, parks, festivals or farmer’s markets, animal shelter fundraising events, pet stores, patio seating at restaurants, a stroll downtown. Take your older dog’s training level up a notch—a group dog class. I‘m sure you can things of other places to take your puppy or dog. Make sure to call ahead to ask if the presence of your dog is appropriate. Don’t introduce your dog to a new situation without a plan in case he showed distress—fear, excessive barking or whining, hiding. If he is showing fear that can’t be soothed, be ready to cut short the visit. With a little advanced preparation, you and your dog can have an enjoyable outing. Socialization is an important part of training. While you are out, you will be working on car ride management, walking on a leash, sits/downs, and your dog learning to be polite in public. Socialized dogs are in general happier and can handle stress better throughout their life. 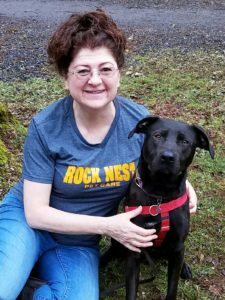 Rock Nest Training & Pet Care LLC is offering group training classes. 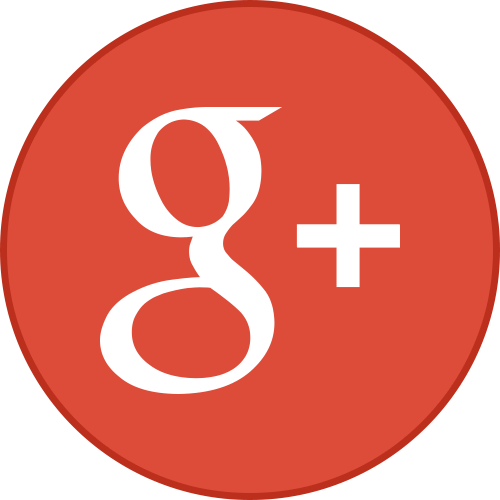 We are available by email or call us at 541-895-3162. 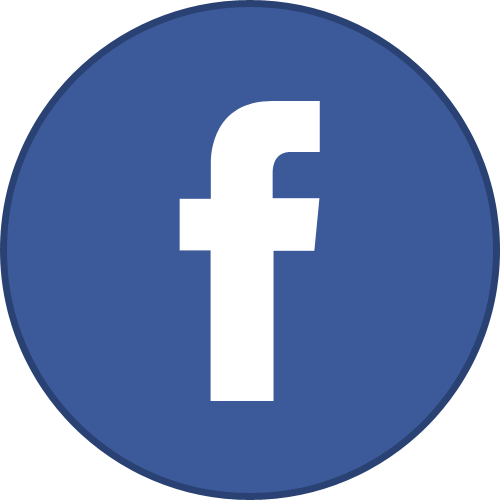 And be sure to like our Facebook page!